Last Spring we completed perhaps the largest re-configuration of school administrators in the history of our District. Sixteen of the twenty-four principal and vice principal positions will have new individuals assigned to them as students return to school in September. We are very excited about this significant change to our leadership team. Some are transferring in from other administrative positions within our District while others are taking on leadership roles for the first time in their careers. Based on the qualities and skill sets each one of them is bringing to their new role, our hope is for a significant positive impact on our schools and students. Most individuals entering the teaching profession today are different. They’re part of the Millennial generation, born sometime after 1982 and before 2004, and are often referred to as Generation “Y” or Generation “Me.” It is widely believed that each generation comes with a set of common traits and Millennials are known, on the one hand for their confidence and tolerance, but on the other hand for a sense of entitlement and narcissism. 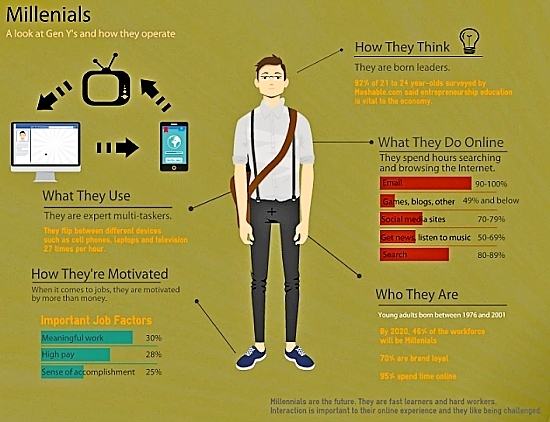 Baby Boomers like me (who, by the way, consider ourselves to be work-centric, independent, goal-oriented, and competitive) often focus in on these more negative traits when talking about the Millennials. We have a hard time wrapping our heads around why they aren’t more like us. I recently read an article about the 5 Key Traits Millennial Consumers Share and started thinking about the large number of new teachers who are part of the Mentorship Program in my District this year. The 5 traits listed below are very evident in this group and our year of Mentorship has evolved into something completely different as a result. Millennials expect technology to simply work–so you’d better make sure that it does. Millennials are a social generation—and they socialize while consuming (and deciding to consume) your products and services. They collaborate and cooperate–with each other and, when possible, with brands. They’re looking for adventure (and whatever comes their way). They’re passionate about values–including the values of companies they do business with. Our Mentorship program consists of a number of components throughout the year including 8 evening supper sessions where about 80 new teachers, mentors and District staff come together for sessions that support new teachers. A schedule is usually created at the beginning of the year based on new initiatives and feedback from the previous year. Traditionally, the sessions are led by District staff and the mentors are there to provide our new teachers with wisdom and advice. Well this year something very interesting has happened. By mid year it became obvious that this particular group of new teachers wanted something more than ‘sit and get’ learning. They wanted more brought to the table. They craved learning in a way that’s highlighted in the 5 points listed above. 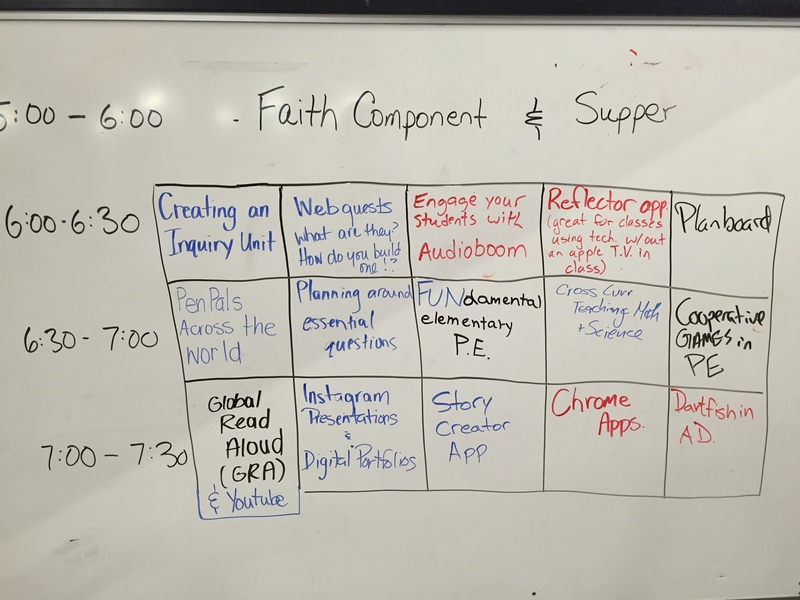 So, in an effort to respond to their needs we stepped away from our traditional learning model and held an EDCAMP type evening this past February. I was familiar with the EDCAMP model after attending a few myself and organizing one when I was a principal earlier in my career. When the evening arrived I was expecting the mentor teachers to sign up and lead the majority of the sessions. After all, they were the ones with most of the knowledge and experience. By doing so they could then lead conversations that would engage the new teachers in a collaborative setting. But that’s not what happened at all. Fourteen of the fifteen sessions were added to our board and led by the new teachers. (see the board below) Our mentors were happy to step back and allow the newbies to take charge, sharing their learning and ideas. Not once during the evening did our new teachers appear uncomfortable with the format. In fact, they embraced it and were highly engaged the entire evening. The point I’m trying to make here is that this is yet another example of how we need to let go of our traditional beliefs around Education. Not only is learning changing for kids, it is also changing for these Millennials who are entering the teaching profession. 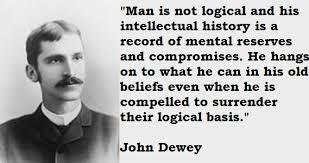 If we want teachers who are life long learners and who are fully engaged in the transformation of our Education system we need to understand who they are and what makes them tic. My plan is to do that going forward. This quick post is intended to highlight the power of Twitter as a way to draw a diverse group of passionate educators together around an educational topic. Within seconds educators throughout our District joined the conversation in a wonderful asynchronous learning session that lasted more than an hour. Asynchronous learning is a student-centered teaching method that uses online learning resources to facilitate information sharing outside the constraints of time and place among a network of people. I often tell others they are missing out on an amazing professional conversation if they haven’t yet discovered Twitter. Click the Storify link below to see an example of what I’m talking about. You can also follow our District hashtag at #GPCSD. The first meaning is of a point (physical, decisional, etc.) beyond which one will proceed no further. The second meaning is that of a point beyond which, once the decision to go beyond it is made, the decision and its resulting consequences are permanently decided and irreversible. On a recent trip to Toronto I was fortunate to have the opportunity to listen to Dr. John Malloy, Director of Education at Hamilton-Wentworth District School Board. Dr. Malloy gave an enthusiastic accounting of the 1-to-1 iPad initiative currently playing out in his Districts’ 100 plus schools. In the initial year of a five-year plan they have placed iPads in the hands of every student in seven elementary schools, in one secondary school, and in the assistive technology used in two other secondary schools. If the roll out goes according to plan, every student will have the full time use of an iPad by 2019. The plan, titled “Transforming Learning Everywhere”, is strongly supported by their School Board and will be resourced heavily through ongoing teacher professional development, adequate wireless bandwidth in every school, and a team of individuals to support and maintain all aspects of the project. Wow! Then Dr. Malloy shared what I thought was the most brilliant part of the entire initiative. He used the metaphor of “a line in the sand” to describe the plan they had to reduce paper in schools throughout the District. As more iPads are deployed, more paper will be removed. “If we are going to continue to provide access to the old way of doing things”, he said, “how are we going to get our teachers to buy into something new? We can’t afford both.” By 2019 Hamilton-Wentworth will be 95% paperless. This is written into the strategic plan. Here is the problem that exists most everywhere. All too often School Districts continue to allow outdated practices to exist at the same time they introduce something new. When this happens many teachers simply opt out of risking the new practice and retreat to what is most comfortable to them. For system leaders, resources are scarce so if they aren’t able to build a coalition of the willing, real change rarely occurs. I think everyone can agree that the Education landscape is changing more rapidly than ever before. Our students were born into a different world than we were. They learn differently and will require a very different set of skills in today’s society and workplace. Transforming pedagogy should not be an option but rather a requirement of all teachers. All available resources should be used, not on maintaining the old, but on building the new. We need more leaders who, like Dr. Malloy, are not afraid to draw that line in the sand. What Do We Do With What We’ve Got? Recently I attended the Apple Education Leadership Institute in Toronto where school system leaders from throughout our country and around the world gathered to network and share innovative and forward thinking educational practices. The highlight for me was hearing from Apple’s Vice President of Education, John Couch, who not only has grown Apple Education to a $9 billion per year business, but was a close friend of Steve Jobs and assisted in programming the first ever MacIntosh software. Sitting next to him was pretty cool. Even though part of Couch’s keynote address was about how the “Apple Ecosystem” is the best way forward for education worldwide, it was nice to hear him talk about his 4 year old grandson and how worried his family is as he begins his education career next year. Couch spoke a lot about the kind of teacher we need if our schools are going to remain relevant in the years to come. As an individual directly involved in human resources in my District his words resonated with me as it is my responsibility to secure the most capable, forward thinking and innovative teachers for our students. There’s no doubt in my mind that each of the presenters are doing some wonderful work with students but as I travelled home I began thinking about the teachers I know who are also engaging their students in new and exciting ways. And they are using a variety of tools to do so, not just iPads, Apps and Apple TVs. 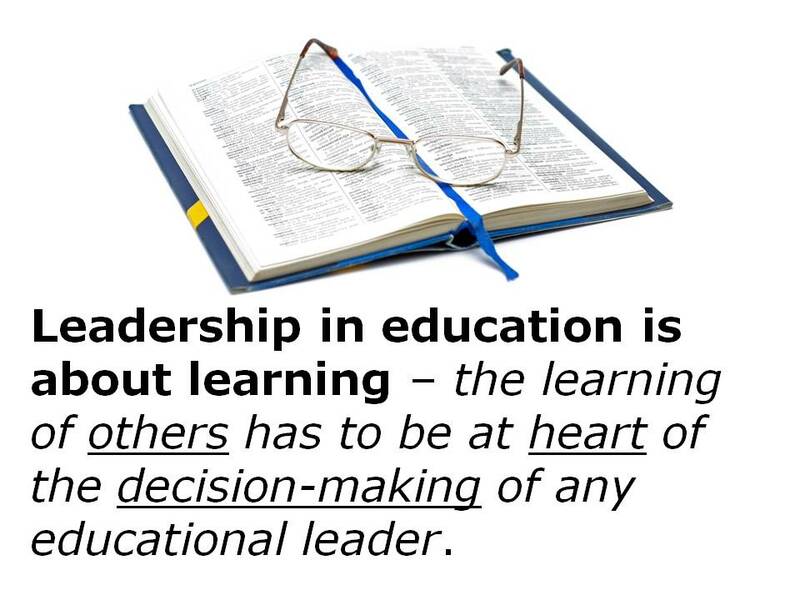 I would never take anything away from an individual who wants to become an ADE or a Google Certified Teacher (or receive any other additional certifications for that matter) because anything we can do to build our capacity in meeting the needs of today’s learner is important. 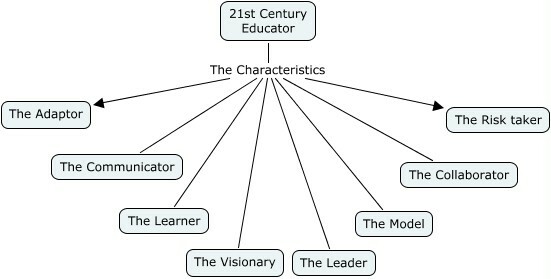 But I would challenge each of us to take a close look at this wonderful graphic via Jeff Dunn and ask ourselves if our practice is in alignment with these characteristics. In my opinion our work is less about what we have and more about what we do with what we have. 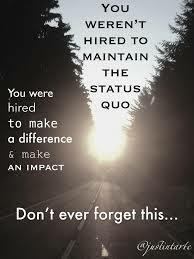 If we are not a risk taker, collaborator, adaptor, learner, and visionary does it really matter what our qualifications are. I know many teachers who are highly qualified but are unwilling to risk new things to move their practice forward. At the same time I watch with great pride as some of our newest teachers push the envelope every day. Today, every teacher has a responsibility to learn and then to act on what they learn. My colleague George Couros writes this excellent article on what it is to be a Master Teacher. The 10 qualities he puts forward are more about competencies and processes and less about products and outcomes. This would support the idea that you have never ‘arrived’ at becoming a Master Teacher. Instead, you are always on your way to getting there. The best teachers already know this. This year, as conceived by Assistant Superintendent Jessie Shirley and her team, our District is embarking on a PD model that will significantly change the way our teachers engage in their own professional growth. Working in teams with their grade level colleagues throughout the District teachers will create, research, and collaborate around an essential question designed to drive student learning forward. Through action research teams will identify promising practices, incorporate these strategies into their daily instruction, then come back to their team to discuss and refine. A list of suggested topics was provided as a starting point, however it was made clear that the list was not exhaustive, giving individuals autonomy in the selection process. Below is one list of ideas that was made available. The other two lists were around the themes of literacy and numeracy. As a District we have provided 12 Friday afternoons for our teachers to meet free from instruction, which will give them a solid 3 hour block of time to engage with colleagues who have selected a similar essential question. If we want teachers to learn and grow together we need to give them time to do it. A lot of work went into the District calendar to make this happen. At the end of the year each teacher will present their learning to the group as a way to demonstrate growth and make decisions going forward. 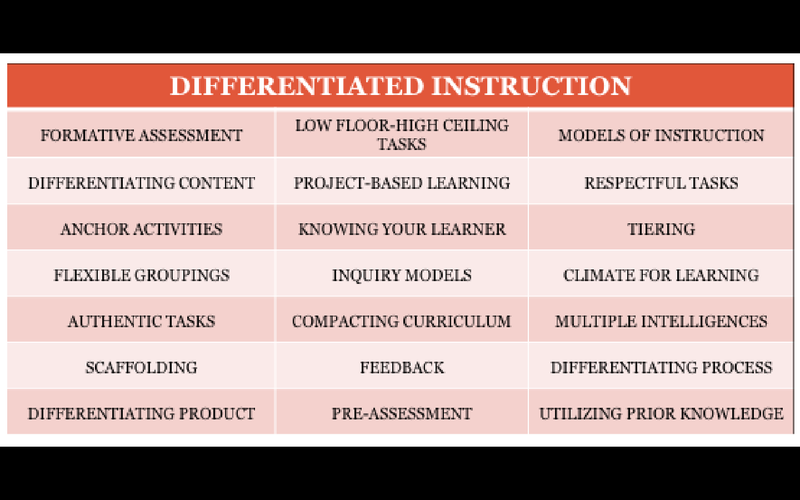 I look forward to watching as this exciting new PD model plays out over the year. The ultimate goal is that it impacts student learning in a meaningful way. By the way, our Superintendent Karl Germann added an important element to this new plan. He has asked that every certified teacher in the District, including principals and central office personnel, complete the Essential Question. He believes that we all need to embrace continual growth, no matter what our role is in the District. How can building the instructional leadership capacity of our principals & vice principals allow me to engage every teacher in our District & drive learning forward? 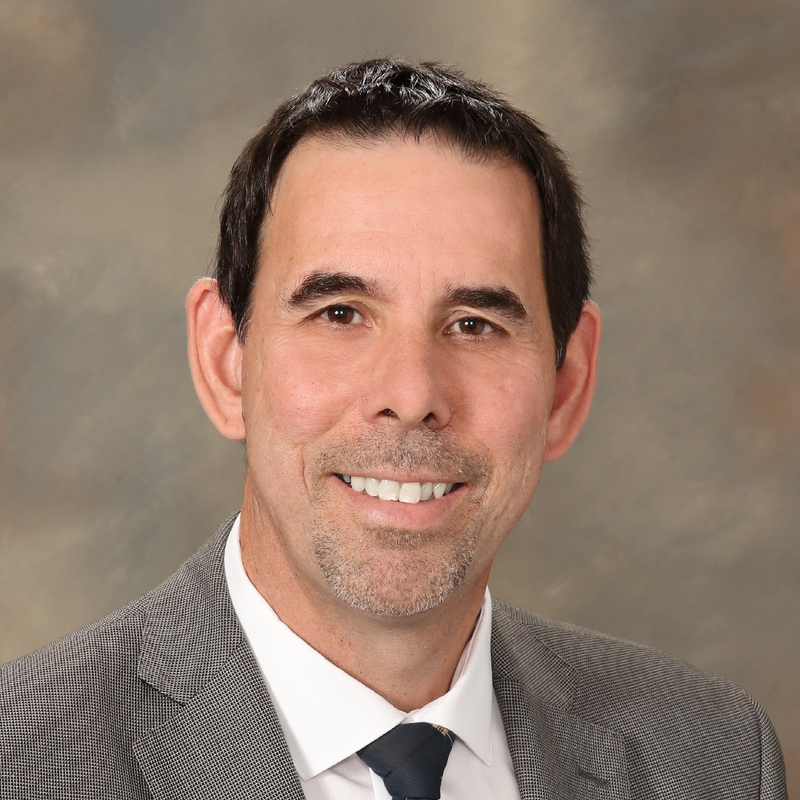 I plan to work with members of our leadership team, both at the school and District level, to continue the work I started last year with Instructional Leadership. I should never forget that even my work in Human Resources is really about student success. These are exciting times in Education and I’m happy to be part of a District where that change is being embraced. Let the learning begin. Great Teachers = Great Schools. That’s It. At an orientation earlier this week we welcomed 45 new teachers into our District. What a great day it was after spending 8 months recruiting and hiring the best teacher candidates we could find from Universities and Colleges across our country. This year we decided to keep the day short so we wouldn’t overwhelm our new recruits, so the day (which only went from 11:00 a.m. to 1:00 p.m.) included welcomes and introductions, a meal, a payroll/benefits presentation, and an explanation of our new teacher website, which replaced the 2 inch thick binder we’ve handed out in the past. Our gift to them as they left was Todd Whitaker‘s book, What Great Teachers Do Differently, which we strongly encouraged each of them read before the first day of school. During our two hours together I was continually reminded of the importance of identifying and hiring the best possible teachers and then powerfully supporting them throughout their career. A week earlier I attended a presentation by Professor John Hattie and his team who have completed extensive research on the influences on student learning. His Visible Learning research suggests that most everything we do influences student learning. 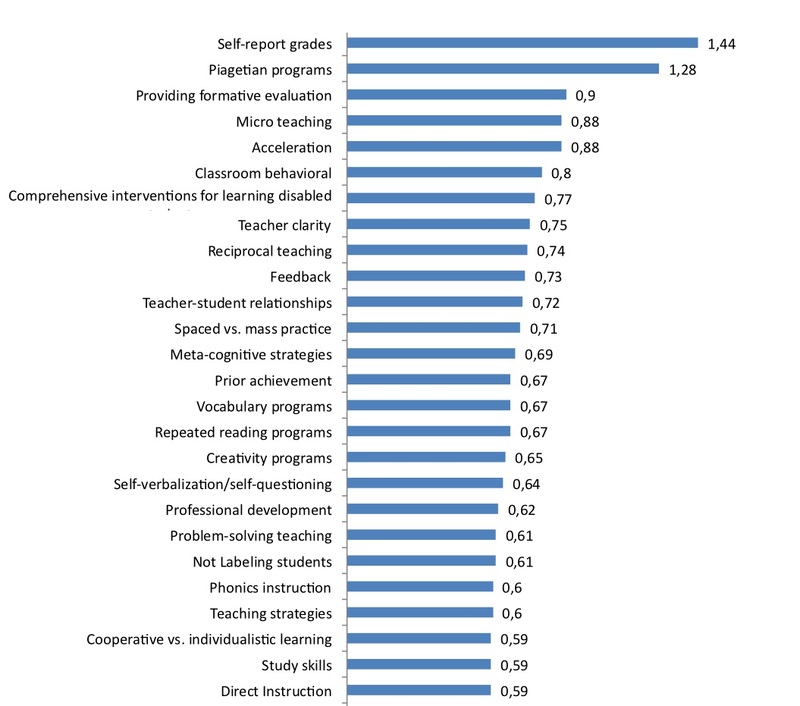 The average effect size is .40 so suffice to say, if strategies from the following list are present in our schools, we will be on the right path. Self-Report Grades – This strategy involves the teacher finding out what are the student’s expectations and pushing the learner to exceed these expectations. Once a student has performed at a level that is beyond their own expectations, he or she gains confidence in his or her learning ability. Piagetian Programs – These programs focus on the thinking processes rather than the outcomes and do not impose the adult thinking process on children. This is done when the teacher creates and provides engaging and relevant learning experiences. Providing Formative Evaluation – The goal of formative assessment is to monitor student learning to provide ongoing feedback that can be used by teachers to improve their teaching and by students to improve their learning. Micro Teaching – This involves the teacher video recording a lesson with a debriefing. The lesson is reviewed in order to improve the teaching and learning experience. Acceleration – Great teachers know how to accelerate learning for their students (not just enrich). They understand that if students are able to move on to higher levels of curriculum we should not be holding them back. Perhaps another case for moving away from grouping our students by age. Classroom Behavioural – The best teachers build trusting relationships with their students. If they don’t know that you care, they won’t care what you know. Comprehensive Intervention for Learning Disabled – To improve achievement teachers must provide students with tools and strategies to organize themselves as well as new material; techniques to use while reading, writing, and doing math; and systematic steps to follow when working through a learning task or reflecting upon their own learning. Teacher Clarity – Excellent teachers clearly communicate the intentions of the lessons and the success criteria to their students. Teachers need to know the goals and success criteria of their lessons, know how well all students in their class are progressing, and know where to go next. Reciprocal Teaching – This refers to an instructional activity in which students become the teacher in small group sessions. Teachers model, then help students learn to guide group discussions. Once students have learned the strategies, they take turns assuming the role of teacher in leading a dialogue. Feedback – Hattie emphasizes that the most powerful feedback is that given from the student to the teacher. This feedback allows teachers to see learning through the eyes of their students. It makes learning visible and facilitates the planning of next steps. The feedback that students receive from their teachers is also vital. It enables students to progress towards challenging learning intentions and goals. So in my opinion education researchers and authors like John Hattie and Todd Whitaker have it right. Our most important work is in supporting the right people doing the right work. 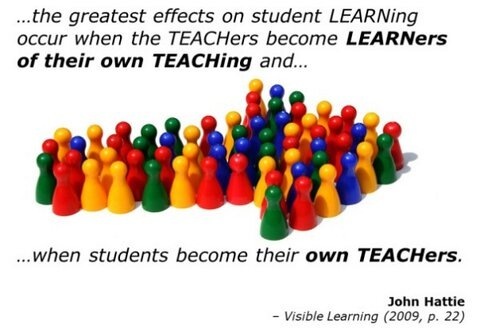 If we place our energy and resources behind this simple concept, visible learning and teaching will become the norm. Who are we looking for when we recruit? What are our expectations of them? How are we welcoming them into our District? How are we supporting them throughout their career? What Can We Learn From A Swiss Watch? I’ve always thought we can learn a lot from a great story of the past. My father always told me that by doing so we can avoid making the same mistakes ourselves. I can remember him reading me stories and then asking what I learned from them and what I would have done differently. In the 1940’s the Swiss watch industry enjoyed a well-protected monopoly. The industry prospered in the absence of any real competition. 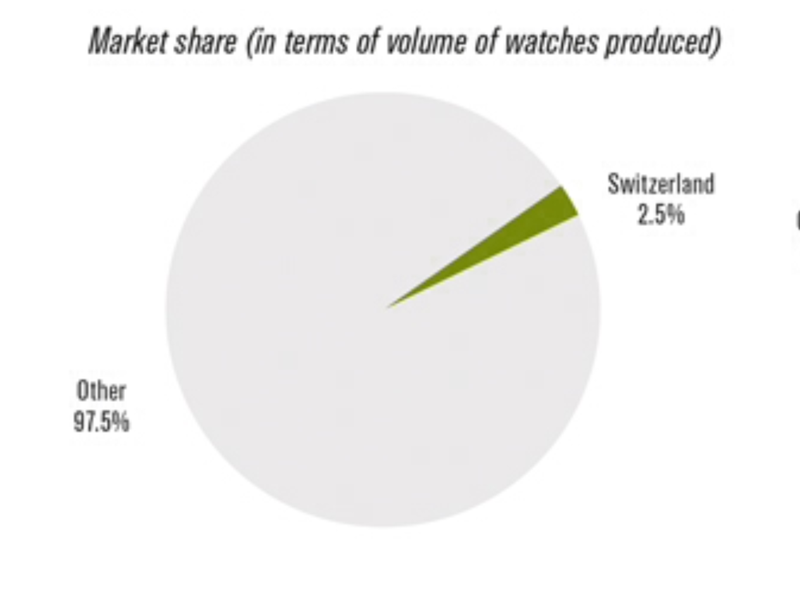 Thus, prior to the 1970s, Switzerland held 50% of the world watch market. In 1969 when Seiko unveiled the first quartz watch, the Swiss watch manufacturing industry was a mature industry with a centuries-old global market and deeply entrenched patterns of manufacturing, marketing and sales. Switzerland chose to remain focused on traditional mechanical watches, while the majority of world watch production embraced the new technology. Despite these dramatic advancements, the Swiss hesitated in embracing quartz watches. At the time Swiss mechanical watches dominated world markets. From their position of market strength, and with a national watch industry organized broadly and deeply to foster mechanical watches, many in Switzerland thought that moving into electronic watches was unnecessary. Others, outside of Switzerland, however, saw the advantage and further developed the technology, and by 1978 quartz watches overtook mechanical watches in popularity, plunging the Swiss watch industry into crisis. This period of time was marked by a lack of innovation in Switzerland at the same time that the watch making industries of other nations were taking full advantage of emerging technologies. As a result of the economic turmoil that ensued, many once profitable and famous Swiss watch houses disappeared. The period of time completely upset the Swiss watch industry both economically and psychologically. During the 1970s and early 1980s, technological advances resulted in a massive reduction in the size of the Swiss watch industry. By 1988 Swiss watch employment fell from 90,000 to 28,000 thus crippling the Swiss economy. In looking at the history of Swiss watchmaking, it’s clear that by not responding to the electronic revolution, it nearly lost the industry completely. Initially, companies were slow to embrace quartz technology, but many companies eventually realized it was the key to their survival and to the industry as a whole. In 1997, Swiss production of finished watches was 33 million pieces, with 30 million being quartz analog, and the rest mechanical. By finally embracing the change, albeit late, the industry has partially recovered, employing 56,000 in 2012. Education, I believe, is facing a similar crisis today. Technological advances and globalization are changing society as we know it and Education holds the responsibility of preparing our young people for this new era. If we wait too long, and remain focused on traditional methods as the Swiss watch makers did, a great number of students will exit high school early or complete high school unprepared for todays workforce. Our work as educators will only remain relevant if we adapt with the changing times. Please read this story carefully and start pushing yourself if you are not already doing so. Let’s learn from this great story of the past and not make the same mistakes. We are offering you this contract because we see you as a forward thinking and innovative teacher who will do whatever is necessary to help your students experience success. We are offering you this contract because you are a risk-taker, always pushing the envelope with your teaching. We are offering you this contract because you have a growth mindset. We are offering you this contract because it is evident that you see the value in collaboration, constantly building your own capacity and that of your colleagues. We are offering you this contract because you have shown us that you know how to meet the needs of all learners, making the learning experience relevant to them. I encourage you to continue the development of your digital portfolio. It will assist you in identifying areas in which you excel as well as areas in which you could continue to grow. It will also provide you with a body of evidence on which you can continuously reflect. We are offering you this contract because it is obvious that you love children, and that they love you. We’re counting on you and so are your students. As I near the end of my first year in the role of Assistant Superintendent of Human Resources I’ve come to see this as my most important work – inviting the very best teachers to become permanent members of our district family. I hope they will never forget why. Recommendation #21 of the Minister of Education’s Task Force for Teaching Excellence – Maintenance of Certification for Teachers has, in no small way, created uncomfortable feelings for some educators in our province. Key word – some. 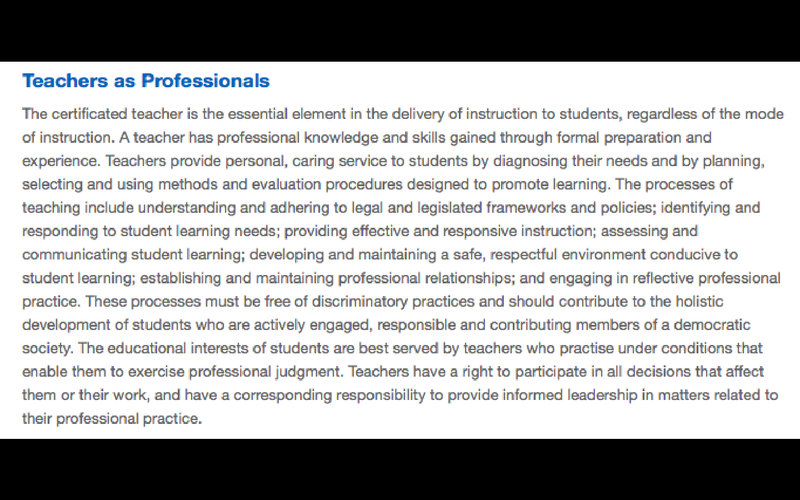 After all, the Alberta Teachers Association itself takes a very strong stance (as articulated in this 2012 position paper) on making sure individuals within its membership are reflective practitioners who use their professional judgement to provide leadership in matters related to their professional practice. 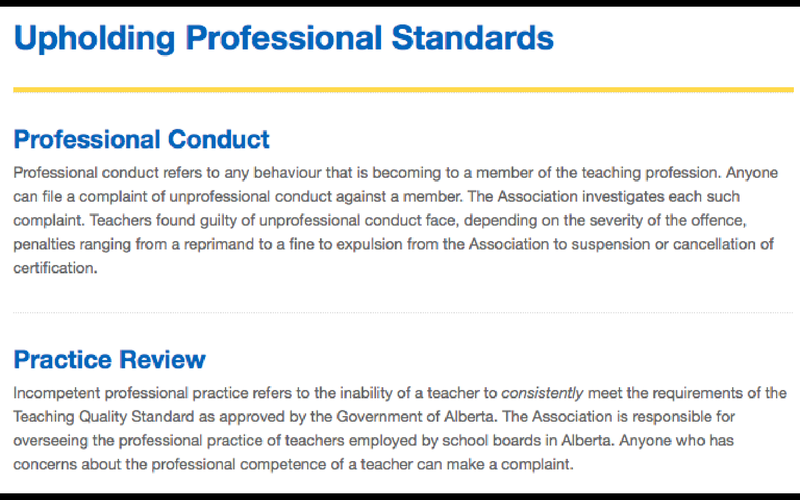 The Association is already dedicated to upholding professional standards, ensuring that a high quality of teaching continues to exist in Alberta. This would suggest that incompetent individuals are addressed in an acceptable manner. I would encourage teachers to take a look at this slide presentation created by Doug Strahler, Communications instructor at Slippery Rock University of Pennsylvania. He makes a good case in support of creating and continually updating a professional portfolio to reflect on and improve professional practice. A portfolio, in my opinion, places the onus on the individual teacher to identify, reflect on, and address the aspects of their teaching that does or does not consistently meet the Teaching Quality Standard. This is not to say that the teacher did not meet the TQS when they were offered a permanent teaching certificate or a continuous contract. It simply means that as the education landscape continues to change, so does the evidence of what excellent teaching looks like. And think about it – our C2 committee work throughout the province has us looking for ways to reduce teacher workload and build teacher efficacy. A portfolio could easily replace professional growth plans, evaluations, and year plans while providing a great platform for PD, collaboration and professional conversation. We all know the recommendations brought forward by the task force have once again created a divisive climate. I don’t think anyone expected anything different. But not all task force recommendations require opposition. I’m sure all stakeholders can agree on a number of them. There is not a teacher in our province who would want their own child taught by a colleague whose practice is less than acceptable. One way to ensure this is through an expectation that teachers create, share and reflect on a dossier or portfolio, demonstrating that their practice continues to evolve. The 35 probationary teachers in my district created portfolios this year. Here is an exemplar I would like to share: Justin Lowe Portfolio.